Sushi of highest class. 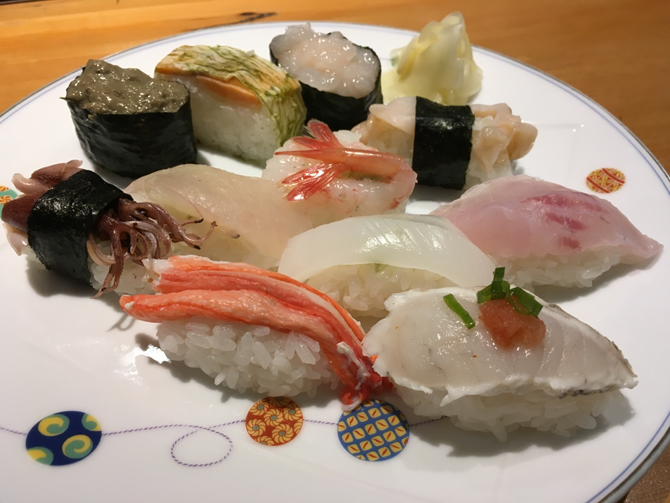 All toppings fresh seafood from Toyama Bay. And delicious rise grown in Toyama field. 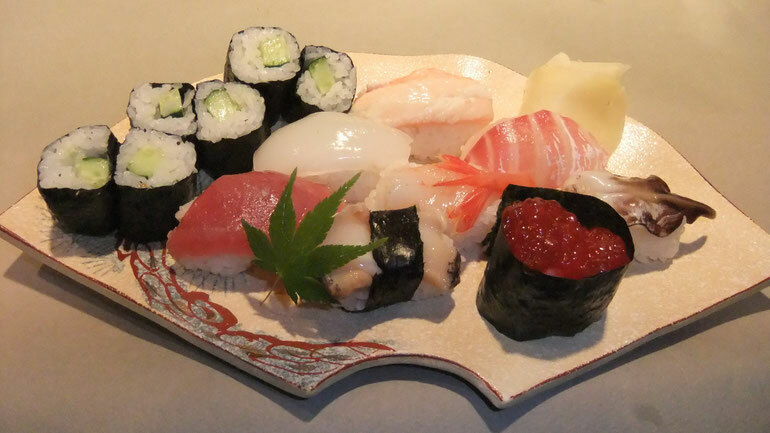 Sushi of high class. 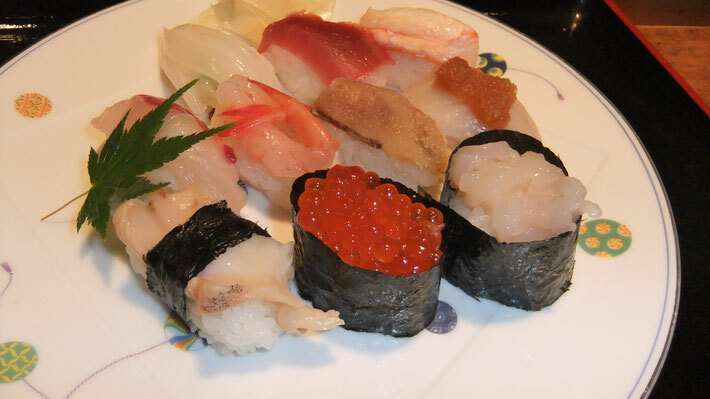 Topping fishes are from Toyama Bay and other Prefecture's Bay. 10 peices of sushi. Sushi of middle class. 8 pieces of sushi and 1 rolled sushi. 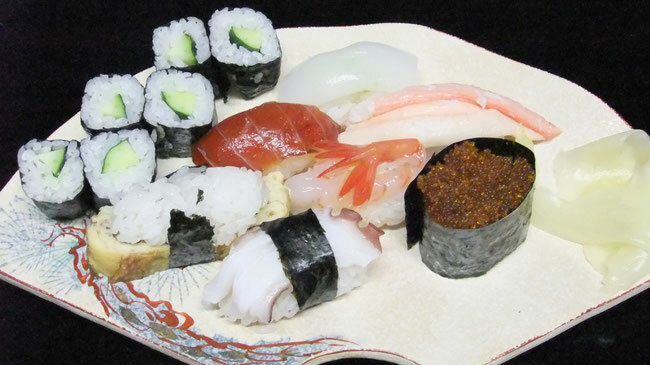 Sushi of low class. 7 pieces of sushi and 1 rolled sushi.